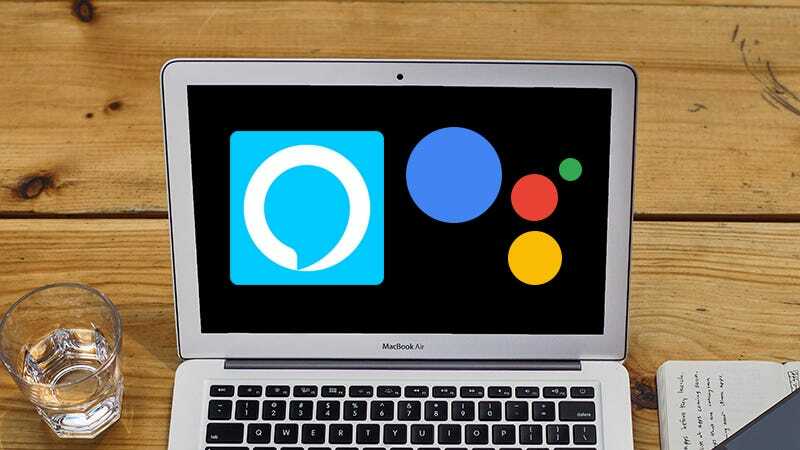 Digital assistant apps of all kinds are on the rise, but you don’t necessarily need to invest in a smart speaker to start chatting to one: with a little know-how you can get Amazon Alexa or Google Assistant up and running on your computer. Here’s what you need to do. Reverb.ai is a very similar tool which also runs in any desktop web browser. Again, you need to click and hold on the microphone button, once your browser has been given permission to access your computer’s microphone, but since the app isn’t linked to your Amazon account—you’re limited to general, non-personal queries. Also we couldn’t get any third-party skills working. The Reverb app for macOS does link to your Amazon account, however, so you can pull up your calendar, try out different skills, and so on, just as if you were talking to a physical Amazon Echo. Getting Google Assistant on the desktop is a lot more involved. Note that you can get some assistant-style functionality, like answers to simple web queries and your Google Calendar schedule, from Google.com in your browser by just clicking on the microphone button by the search box and speaking your commands. For the full Google Assistant experience, though, you have to follow these instructions from Mishaal Rahman on XDA Developers. It’s a pretty complex process, which needs a lot of carefully constructed command line instructions—and at the end of it all you can only access Google Assistant through another command line window, though speech input and output is supported. The time and effort required is more than some people will want to invest just for the novelty of having Google Assistant running on their desktop computer, but if you enjoy tinkering around with this kind of tech, and need something to occupy your mind, it’s worth a go. The bot gets linked to your Google account, so there’s no problem pulling up personal details from Gmail, Google Calendar and so on. There’s no point us simply copying out all of the steps verbatim here—just head to XDA Developers for detailed instructions—but the process involves setting up Python, authorizing new credentials for the Google Assistant API, and then setting up a simple client in the command line. If all that text looks a bit daunting, Hayato Huseman at 9to5Google has put together a video explainer for macOS that’s very handy. We got the Assistant up and running on a macOS machine using the supplied instructions in about half an hour, though if you’re not familiar with the command line, and tools like Xcode, you might find it takes you longer. The process of getting Python installed is slightly more straightforward on Windows, incidentally, if you have a choice between OSes. By the end you can run a simple command line prompt to launch Google Assistant, hitting Enter every time you want to say something new—responses are spoken back to you, so there’s no text to read on screen (though you can check that the Assistant parsed what you said correctly). It’s a rather awkward workaround, but it’s fun to try out until Google finds time to start rolling out its Assistant everywhere.